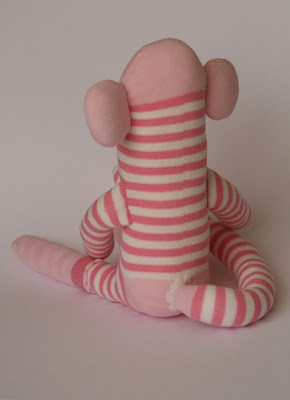 Monkey and Squidge: Just a pair of socks! …yay! 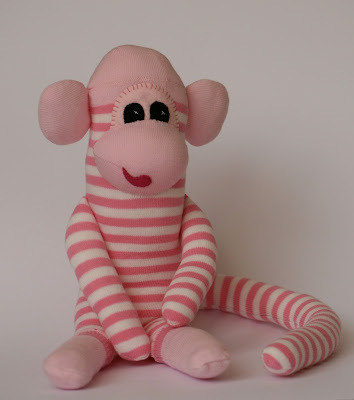 Here she is, my cutest little sock monkey. 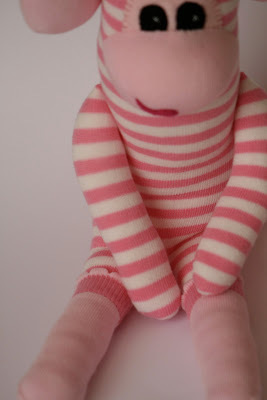 I couldn't resist making her a little pair of frilly socks and she has a cute flower tail too – I just love her… up for sale on Etsy… do I have to? I think I may have to keep her, urm for Tink I mean!!! …I want to start a new quilt! Or perhaps even finish one!! !